Great to see old friends and to welcome a new baby! Truly this morning our cup overflows! It was a pleasure to see our Texas friends, Ray and Beth, in our worship service this morning. It’s been awhile since they’ve been east and we were delighted they wanted to spend their Sunday morning with us. 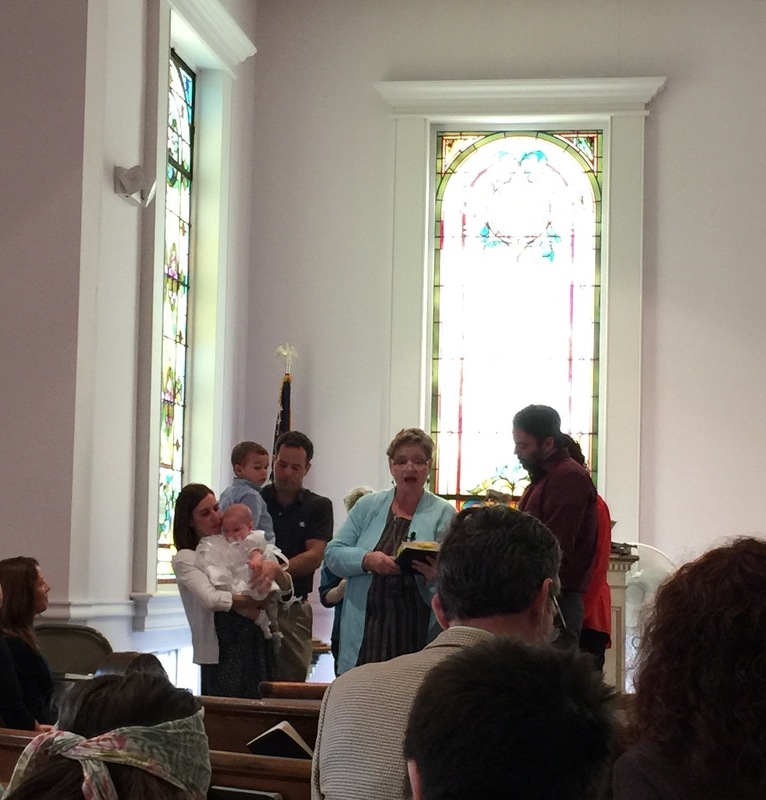 In addition, we welcomed a beautiful little girl into our church family. The baptism of Aleah Grace was witnessed by lots of her family and friends and she was warmly welcomed into our community of faith. May she be blessed and grow in wisdom and strength in the Lord.